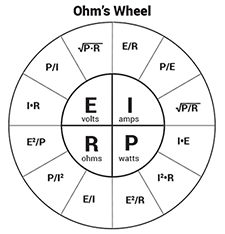 Not knowing how to wire your subwoofers to the proper impedance (ohms) for your amplifier could be the #1 car audio mistake. You must consider your amplifier's load stability, whether you have single voice coils or dual voice coils, and how many subwoofers you plan on installing (among other things) to determine the correct and best wiring option. Wire to an impedance too low for your amplifier and it will overheat or worse. Wire to an impedance too high and your subwoofer performance will suffer.CLICK HERE TO READ MORE. Every year, RZRForums.net coordinates with Polaris and it's forum members for a ride in beautiful Taylor Park, CO. This year, we made the trip... and it was epic! Some of the best scenery the country has to offer, great people, 12,000 feet of elevation, and lots of trail riding made for a weekend we won't forget. 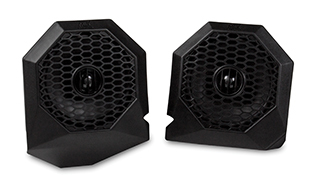 The RZRPOD65 are the best solution for adding speakers to your RZR XP1000 or 900. These all weather custom fit speaker pods mount to the vehicle's roll cage and are contoured to fit perfectly in the OEM dash. No more mounting speakers on the outside of your cage where they can get damaged and no more having to settle for kick panel speakers since your feet have no ears anyway. The RZRPOD65 delivers high performance audio in a location where you can actually hear it. The MTX RZRPOD65 is a pair of speaker pods that is designed to mount directly to the dash/cage of specific Polaris RZR models. The pods are constructed from rotationally molded polypropylene which creates a finish that is weather resistant and durable. The pods mount in existing dash locations and do not require any cutting or drilling to install. Each pod includes a weather resistant 6.5" coaxial speaker featuring a polypropylene cone and clear Teteron tweeter that deliver exceptional full range clarity. The mounting location is ideal for sound staging as the speakers mount directly in front of the driver and passenger ensuring music can be heard clearly even at high speeds. For a fitment guideCLICK HEREor to view the owner's manual,CLICK HERE.